Doug Demidio was hired by USS in 2014. He is responsible for residential waterproofing projects. Prior to USS, Doug attended Tennessee Technology Center. His favorite aspect of USS is working with friends. Doug lives in Ashland City with his girlfriend of 10 years and their pets, two dogs and two cats. 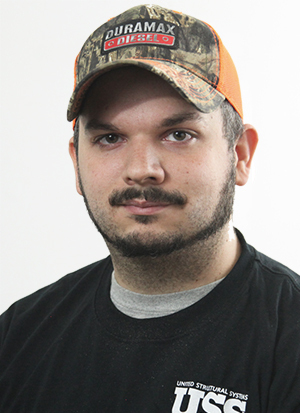 He enjoys fishing, hunting, video games and riding ATVs.